Construction on Guildhall Square is now well underway with the structural warranty appointed and the confirmation of the M&E consultant. The electrical and plasterer contractors have also been appointed ready for construction beginning. Heavy demolition has started and is now completed on third, second and first floors. The stripping works have commenced on the ground floor, alongside the asbestos removal on the second floor. All asbestos removal of the second and third floor is due to be completed within the next few weeks. 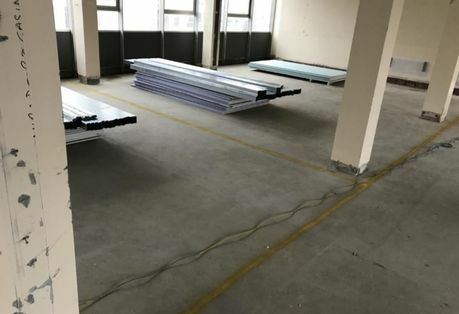 After the asbestos removal, construction work is due to commence on the second floor followed by construction on the third floor in approximately two weeks’ time. Over the next few weeks the first fix of drainage, ventilation and the mechanicals on the second floor will have commenced. The electrical and mechanical take off will also complete with the window refurbishment and approved fire strategy in place. The kitchen and door orders will also be placed, and the fire seal slabs completed between floors. If you would like an up-to-date availability of Guildhall square or more information on the construction and development, email enquiries@hopwoodhouse.com or call +44 (0) 161 337 3890.